Though Samsung Electronics reported a record operating profit for its June quarter, the number still came in below analysts' expectations, sending the company's stock tumbling on Friday. Shares of Samsung lost nearly 4 percent after Samsung released guidance ahead of its full June quarter results, which will be reported on July 26. 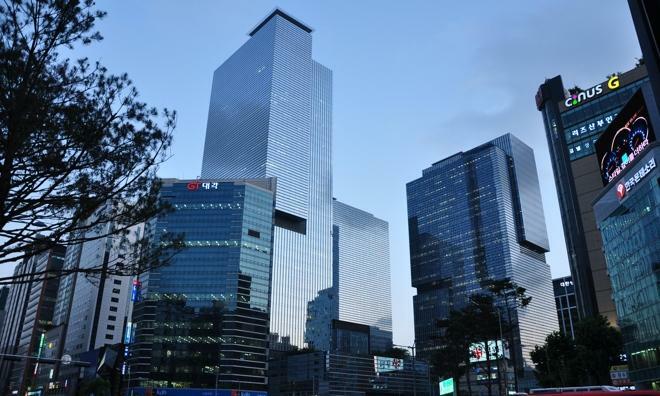 The company revealed that its operating profit grew 47 percent year over year to 9.5 trillion won, or $8.3 billion. But market watchers had expected Samsung to see operating profits of 10.16 trillion won, according to Reuters. The June quarter is just the latest disappointment for investors, who have seen Samsung shares drop more than 15 percent over the last month. Samsung has also become increasingly dependent on its smartphone business, with that segment of the company accounting for some 70 percent of its total profit. In contrast, iPhone sales account for about half of Apple's revenue. Investor disappointment in Samsung's record quarter parallels Apple's own struggles since the launch of the iPhone 5 last year. For its fourth quarter of fiscal 2012, Apple saw profits grow 25 percent, but shares of AAPL still tumbled as investors grew increasingly concerned about the company's future. Those fears became a reality this year, in the company's second quarter of fiscal 2013, when Apple saw its profits fall for the first time in a decade. The company's profits were down about 18 percent year over year to $9.5 billion, despite record second quarter sales of $43.6 billion. Both Apple's iPhone 5 and Samsung's Galaxy S4 compete in the high-end smartphone segment  a market that industry watchers believe could be reaching saturation. That's helped to fuel speculation that Apple could launch a new low-cost iPhone this year to target customers who prefer unsubsidized handsets that are not tied to a new two-year service contract.